Sterling Silver Norfolk Pine Charm attached to sterling silver 7" alternating ringlet bracelet. 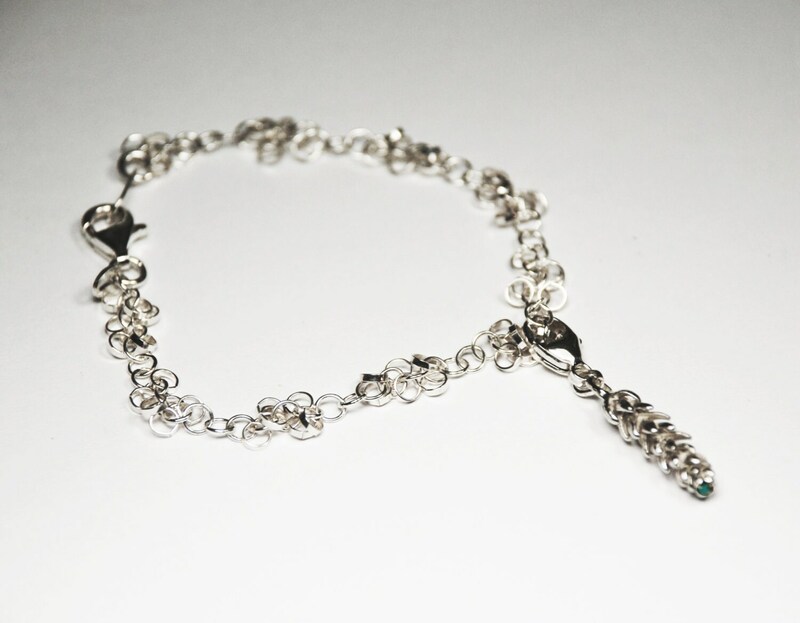 Charm is attached to bracelet with silver lobster clasp and is available with or without a 1.2 mm round genuine persian turquoise ball set at the end (see pricing options). The charm not including the clasp/hanger measures approx. 7/8" (20mm) x 3/8" (5mm). 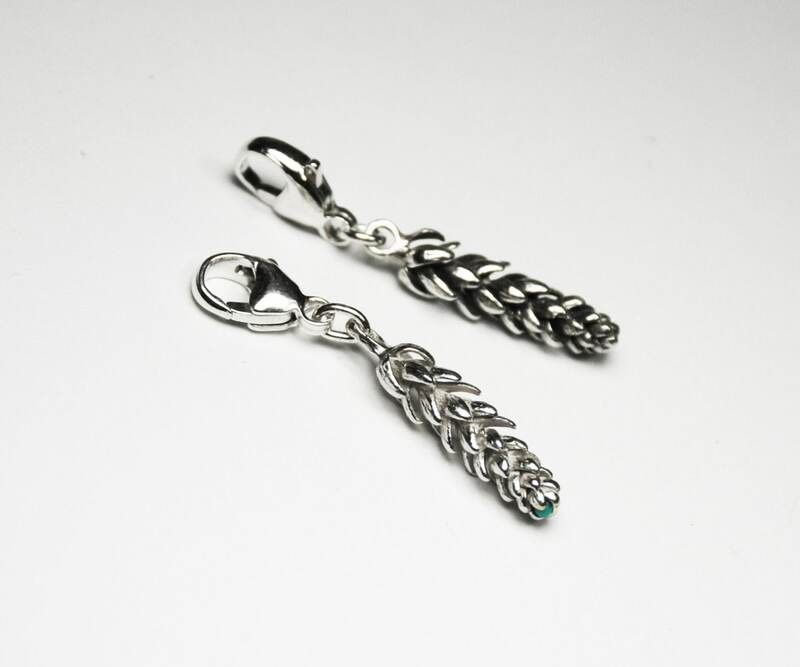 Available in white sterling silver or oxidized sterling silver (see options). 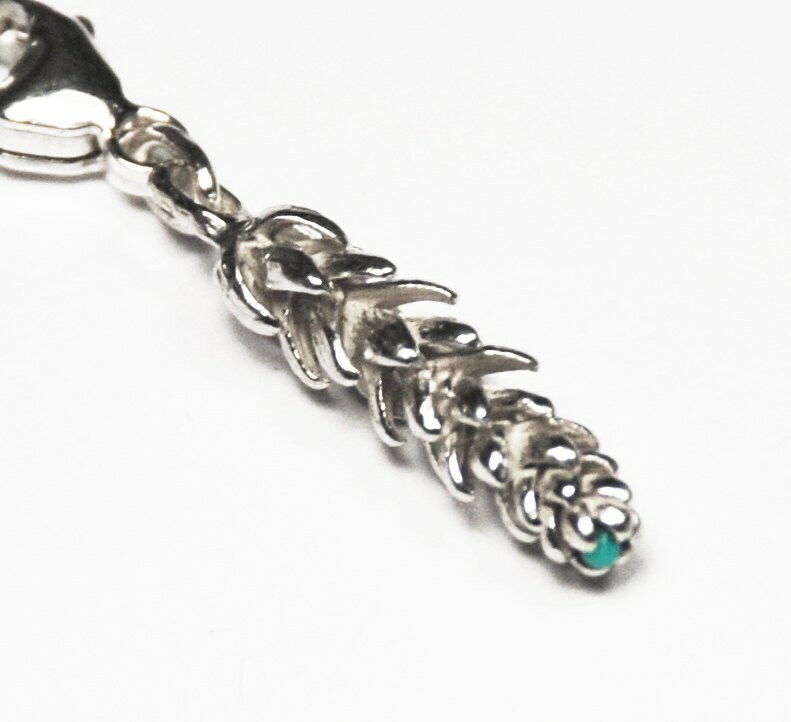 Listed price is for 1 bracelet with 1 charm attached. If you would prefer that the charm be attached to the bracelet with a soldered/closed or split sterling silver jump ring instead of lobster clasp please contact me.